The Iron Dome missile defense system is getting a lot of praise, having (ostensibly) knocked down a lot of Hamas' rockets with remarkable accuracy. All of this unexpected action means it's time to kickstart the bigger, badder version: David's Sling. What Is Israel&apos;s Iron Dome? 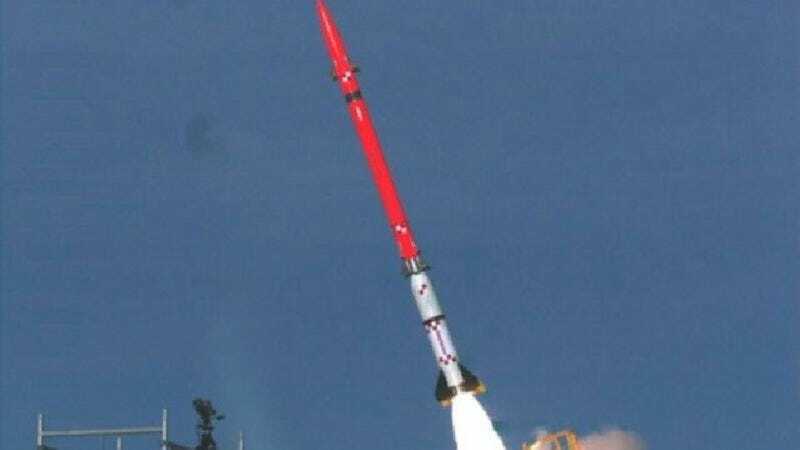 The system, also known as "Magic Wand," depending on translation, functions in mostly the same manner as Iron Dome, with one key difference: it's lined up against bigger, far more destructive missiles from Iran, as opposed to the smaller home-brewed models coming out of Gaza—though it can act as a backup against the latter. Each Sling battery works in conjunction with a radar array to pinpoint an enemy missile's trajectory, and then a two-stage "Stunner" interceptor rocket is sent up to knock it out of the sky—at least that's the idea.